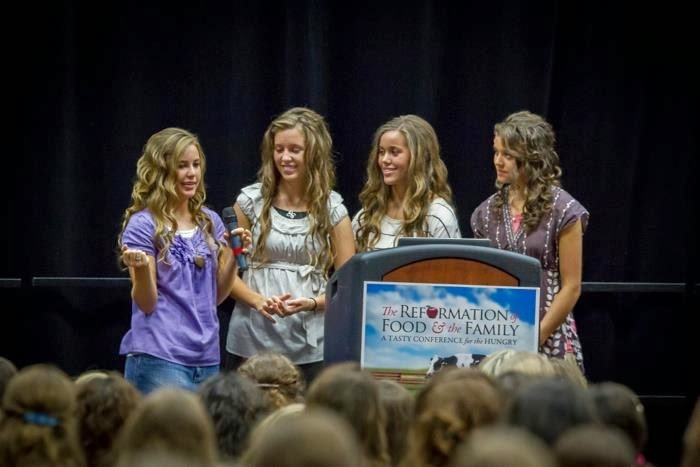 The Duggars just sent us the remaining details of the Growing Up Duggar book tour! Over a period of two weeks, the girls will sign books in nine cities and speak at a church in South Carolina. 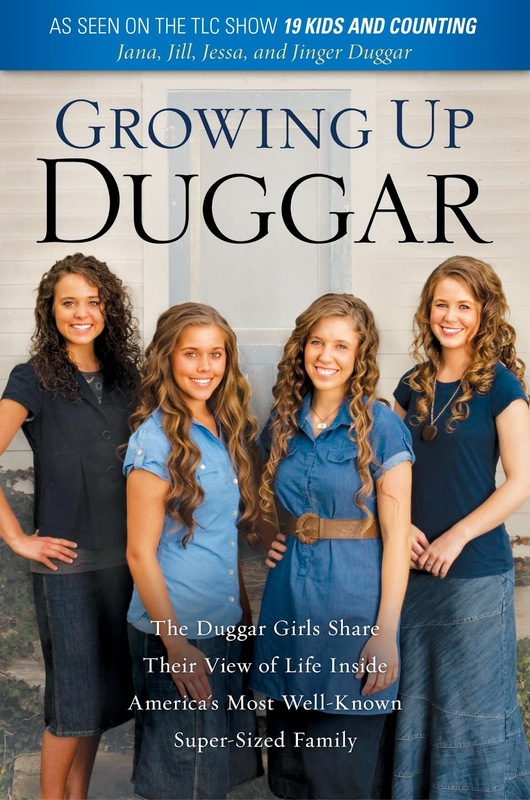 *Growing Up Duggar will hit the stores on March 4th. Click here for details. 1600 John B White, Sr. Blvd. I hope they would come to Wyoming or Montana. I would love meet them. There the last ones on my list of famous people and then I don't care to meet anybody else. I would love to know what Jessa said in the fourth picture!! I cannot help but smile when ever it is reposted on here. Yay so excited to meet the girls in Raleigh! Yea!!!! One hour away from us!!!!! My twins will love to meet them. I hope they venture up north for a while, would love to she them! Is Michelle going to be with them. I hope the four sisters are on this book tour without their parents and siblings. This is their time to shine. I'm glad that they are coming to Raleigh. Do you suggest getting there early? I will have my 3 year old with me. I would imagine that the line will be pretty long. I have always wanted to meet you all. But your not coming to my state sad day. I live in arvada colorado. You should. You should come arvada colorado. I have always wanted to meet you all. None of these locations are close to me :( But I APPRECIATE this blog for posting where the Duggars are going to be! Love your family and was very excited to meet them at Cracker Barrel in Kentucky as they were traveling to see the Bates and tape a show. They were absolutely as nice in person as they appear to be on television. I wish they would come to Michigan. They are one of my heroes and they are one that I look up to and wish i was more like them. Because I Struggle I at time grew up in the church as a young adult, I fell away now as an older adult I am going to church again. I still struggle, with reading the bible each day. I feel like if i could go down and meet them it would help me, I am about the same age as josh... and wish i could have the family style they did. I wanted to ask the same thing as anonymous 6:39 PM! I smile when I see that picture, too! I hope they come to Lifeway in Fort Smith! really wish they were coming to Florida! Come and see the Pacific Northwest! Yes, we suggest arriving early. Awww, no Michigan signing. Oh, well still want the book. why is this family your hero anonymous 16? GOD should be who your honor not the DUGGERS! They said "one of my heroes." You can have heroes and still love God first and above all. Don't be such a nitpicker. 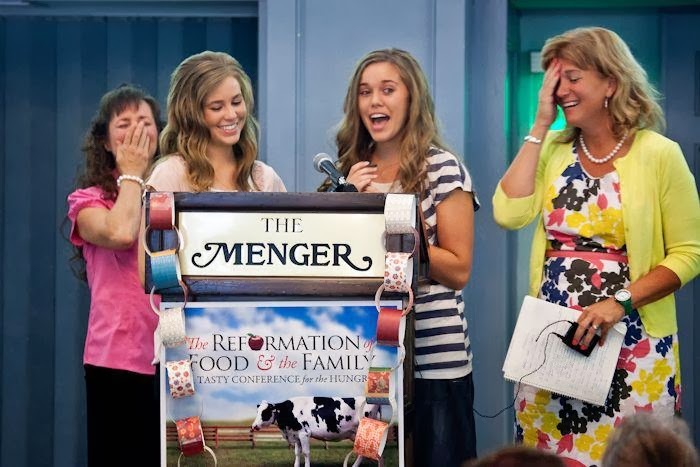 Jesus called us to love one another, and a lot of people love the Duggars. We should all love one another on this blog as well. I wish they could come to Florida too. Especially in Pensacola. They would have a lot of friend at Pensacola Christian College. I am so excited to meet them! See you in Rogers! I am so excited to meet the girls! I have read the other Duggar books , and I'm sure this one will be a blessing as well! See you in Rogers! so so so excited ahhhhhhhhhhhhh :) but when will the next time the whole family be on a tour?? I am planning to come next week is there any thing I need to do can we get pics taken with them? We recommend arriving early and bringing a camera, just in case you get a photo op. Send them to Hawaii to do a book signing!!! I am soooooooooo very excited that they are going to be coming to Raleigh. That is where I live and I have wanted to meet them all for soooooooooo very long!!!!! I can not wait!!!!!!!!!! I am absolutely going to be bringing my camera in case I can get a picture with them!!!!! I would be sooooo very excited if I would be able to get a picture with them!!!!! Since there is probably going to be a very, very, very, very, very long line, and it starts at 11:00 AM, what would probably be the very best time to get there? Since it is only two hours long, how are they going to be able to sign everybody's book that is in line? It would disappoint me sooooo very much if I stood in the line for several hours and then did not get to meet them and get my book signed!!!!!!!!!! Will you be coming to the Atlanta area? Will yall EVER come to Anderson South Carolina? Yall have NO IDEA how much the show meant to me. I MISS IT SOOOO VERY VERY MUCH! !